Although plastic melts when burned, it can be used as a fuel to provide a more sustainable source of energy than most fossil fuels. The abundance of plastic waste and the sheer volumes that are produced every day mean that it is a reliable source of energy that is unlikely to deplete. Plastic contains hydrogen and carbon which give it a similar energy content to refined fossil fuels such as diesel. Another advantage of plastic waste is that all forms of it can be used as a fuel – grocery bags, food punnets, bottles or cling film. By using a process called cold plasma pyrolysis, plastic waste can be converted into sustainable energy. Pyrolysis is the process of heating materials to temperatures between 400℃ and 650℃ in a low oxygen environment. This decomposes organic materials without incinerating them. By adding cold plasma to the process, it can help to recover other chemicals and materials, especially from plastic waste. Cold plasma pyrolysis can convert plastics into hydrogen, methane and ethylene. Hydrogen and methane produce small amounts of soot and carbon dioxide when burned, making them a cleaner source of energy than fossil fuels. The ethylene produced can be used to create more plastic products and contribute to a circular economy – where waste materials are recycled into new, marketable products and added back into the economy. Cold plasma pyrolysis can recover valuable materials from plastic waste which are then added back into the manufacturing cycle. Pyrolysis is a far better solution to recovering chemicals from plastic waste and turning it into a source of fuel. Although it is cheaper to simply burn the plastic and use the heat to power generators, it does not recover any of the chemical compounds and the smoke can be highly toxic. A recent study in the United Kingdom showed that cold plasma pyrolysis can extract 55 times more ethylene from high-density polyethylene plastics, such as water bottles and pipes, than conventional pyrolysis processes. 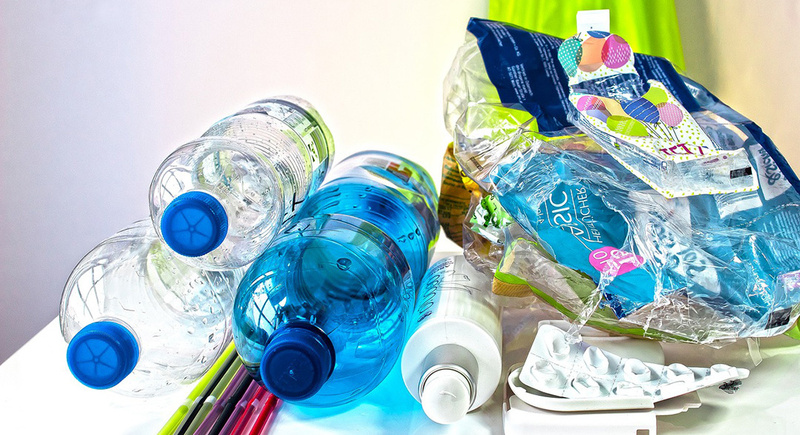 One-quarter of all the plastic waste weight in the study was converted directly into valuable products. The process can be easily controlled, meaning that it could potentially be a sound business opportunity in countries like South Africa. Currently, our excess plastic waste that isn’t recycled ends up in landfills. This waste could be diverted to a cold plasma pyrolysis facility instead, where it can be processed and turned into valuable products. There is a space for a plastic circular economy in South Africa. We have some of the highest recycling rates in the world but there is still an abundance of plastic litter that can be collected and recovered for energy. Not only will it become a sustainable source of energy, but the job creation factor could be highly beneficial in South Africa.